Teaching Overseas: Why the Canterbury TEFL Course? Canterbury TEFL is what you are looking for! Canterbury's TEFL Course is the easiest, most affordable and exciting way to live and work abroad in Madrid, Spain. This includes our competitive prices, social activities and a guaranteed job! Know that you will be Teaching overseas! Do any of the following scenarios sound familiar to you? Are you a recent college graduate who would like to take some time off before graduate school or before starting to climb the endless corporate ladder? Have you already had enough of the corporate world and would like to start a new career path and life for yourself? Do you enjoy traveling and meeting brand-new people on original, novel adventures? Have you ever thought about living, really living and not just visiting, outside your home country? Would you like to learn another language teaching English as a second language? Could you see yourself living the Spanish lifestyle in a warm, sunny climate? Then perhaps an international TEFL academy like Canterbury is what you are looking for! 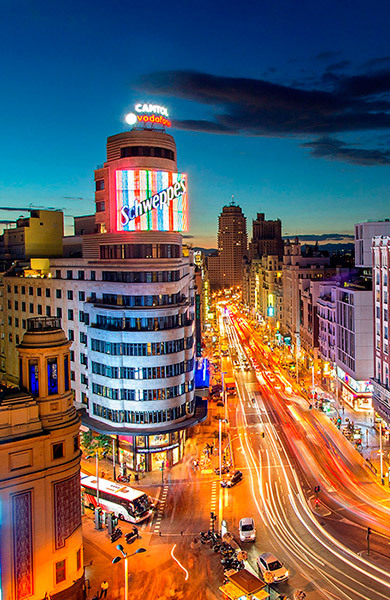 Madrid is the vibrant capital of Spain, which has a low cost of living, coupled with the greatest nightlife in all of Europe! Canterbury offers exciting opportunities for students and alumni of universities throughout the world to teach English in Spain while experiencing the thrills of cultural diversity by living in a foreign country! We are committed to accept, to challenge, and to inspire people to make a life instead of just a living. FIND OUT MORE about our TEFL course and teaching overseas! Why is the Choice of a Guaranteed Job Teaching in Madrid, Spain with Canterbury a Unique Opportunity? 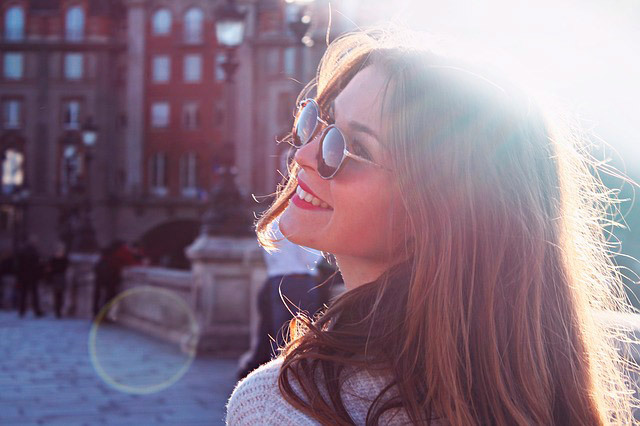 First of all, after earning your International TEFL certification at Canterbury, if you desire, you will be provided with a guaranteed TEFL job teaching English in Madrid during the school year! Canterbury will offer you excellent opportunities for a summer job as well, including the chance to teach at summer camps located throughout Spain during the months of July and August. Think about it - YOU'LL BE TEACHING OVERSEAS! Other large corporate centers specialize in TEFL certificates only and do not teach English at all. We have been providing English teaching jobs for teachers in Madrid since 1991. Canterbury´s program is small and highly selective and is designed to be specialized in both TEFL and English teaching (teaching English as a second language). Thus, being accepted at Canterbury means that you automatically make that next step of looking for a job. Coming to Spain to teach abroad is a big move for people, but by providing our TEFL students WITH AUTOMATIC JOBS, we make that move very easy! Real Experience Teaching English as a Second Language! Moreover, you will gain invaluable real teaching experience in our TEFL Course that is not found in other programs, and the confidence necessary to stand in front of a group of non-native English speaking students and teach English as a foreign language. After you have obtained your certificate, you will have both the opportunity to teach at any other institutions that you desire as well as an international teaching job guaranteed at Canterbury. For people who are shopping for a TEFL program, this should be a key factor in deciding which one to choose. Madrid is one of the best places in the world to teach English abroad! Another important difference at Canterbury includes being paid for teaching classes that begin during the course. Theoretical training is important, but there is no substitute for experience. Standing in front of a group of non-native English speakers and teaching an English class in a foreign country is not easy. For those with little or no teaching experience, it can be a daunting experience. Canterbury realizes this. Our program is specifically designed to guide you, to help you and walk you through this process so that you attain the confidence necessary to do this by the end of the course. You will feel confident about teaching English as a second language! Our Philosophy is "Learn by Doing" & "Paid for Doing too"
Our philosophy for training teachers includes both a "LEARN BY DOING" approach together with a "PAID FOR DOING" policy. Thus, each TEFL trainee must teach a total of 20 hours of classes with non-native speaking students to fulfill the 120-hour course requirements and obtain their TEFL certificate. This is by far the highest number of real teaching hours offered by any TEFL program. Moreover, you will be paid for teaching these classes as well. As a trainee, you will be hard-pressed to find a better situation than that! Teaching overseas for native English speakers and being paid to do it too. Be careful to specifically ask officials of other courses how many hours you will actually teach "real" classes with real non-native speaking students because many times this figure is only six hours of the entire 120-hour course! Unlike other TEFL programs, Canterbury devotes a significant amount of time concentrating on the techniques of teaching children. Every trainee participates in eight separate sessions of 2.5 hours each, or 20 hours total of children practice teaching. Considering that 50 % of the job offers around the world involve teaching children, this is another important point to consider when shopping for a TEFL program. Many TEFL programs, including the CELTA, cover this topic in passing, if at all. We feel this is an oversight. Perhaps because of the shifting job market to the teaching of children, together with the major insufficiency of a children teaching section in the original CELTA program, many CELTA providers are now offering additional young learner certificate courses of 20 to 30 hours duration on aspects of teaching English to young learners for an additional 695 euros on top of the initial 1,690€ course price. Remember, CELTA stands for Certificate of English Language Teaching of Adults. 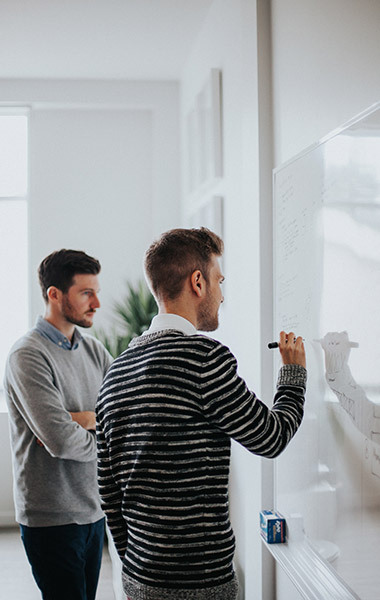 Moreover, Canterbury also dedicates a substantial amount of time directed toward the techniques of teaching business English to professionals. Again, all trainees participate in eight separate sessions of 2.5 hours each, or 20 hours total of business English practice teaching. A further distinction of the Canterbury program is an optional DVD copy of your final practice teaching oral presentation. This is a powerful tool to use with future employers. In addition to your certificate, work experience and recommendations from Canterbury, you have the ability to show yourself teaching an actual thirty-minute class to any prospective employer. This gives you a sizable competitive edge in the job market. Canterbury also provides you with classes on resume writing, marketing yourself, and their well known and respected job references. Our testimonials are clear, well thought out essays written by real people who have thoroughly enjoyed their experiences at Canterbury. "The absolute best part of Canterbury is the guaranteed job. With Canterbury, it is even possible to start teaching English in Madrid before you finish the TEFL program. This will save you a lot of stress. I had friends who worked for other companies and it took some of them almost two months to find enough work to survive." "Like most things, the key to becoming better at it is experience. Canterbury provides its teachers with key presentation assignments throughout the course to get your feet more than wet. Students actually start earning through teaching before they finish the course. Canterbury does provide its teachers with paying students/clients. There are other language schools claiming this, but it's a sad fact that not all deliver. Canterbury wants you to work. In fact, you must satisfy their minimum teaching hours requirement before you receive your TEFL certificate." At Canterbury, you will find an unconventional, unusually caring, close-knit family atmosphere. You will find intensive Spanish classes at our partner school INHISPANIA that are offered at a 12 % discount to all Canterbury TEFL students to help them study and learn Spanish at the same time. You will also find free internet & photocopy services, and lifetime job assistance. If you desire, you will find a teaching job during the school year in Madrid and a summer job with the possibility of teaching at a summer camp somewhere in Spain. And of course, you will find the Canterbury Club, which separates Canterbury from all the other programs; a truly unique association, that brings together teachers, students, and international friends from all over the world. One opportunity for teaching overseas. The Canterbury International TEFL Certificate! The students who do our TEFL certificate program can also take Spanish classes with our partner school INHISPANIA. The times of both programs are designed to leave you free to teach English classes in the evenings, while the courses are in progress. For students who do both programs, there is a huge 12 % discount on the Spanish classes.